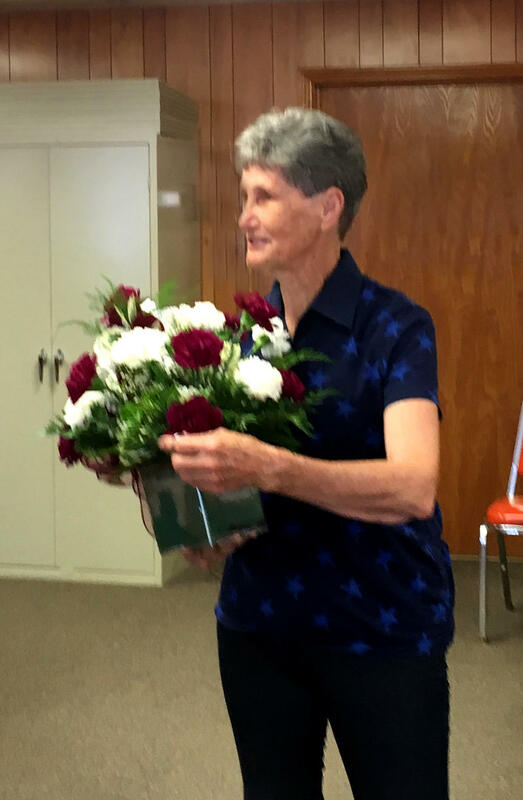 Coach Pat Moses Appreciation Day, May 19, 2018, was declared at a recent Cooper City Council meeting. Members of the 1977 Cooper Bulldogettes State Championship basketball team huddled around Coach Pat Moses. The year was 1977. It was Gregory Gymnasium in Austin, Texas. Coach Pat Moses and her Dogette basketball team had “determination to beat the odds.” The team brought home to Cooper the State Championship. In the Cooper Review archives from March 3, 1977, Coach Moses said, “I couldn’t love anyone more than I love these girls behind me [referring to the team].” It was reported in the two games, played on the campus of the University of Texas, DeDe Carrington scored a total of 72 points, Jo Ann Brackeen contributed a total of 55 points, and Lisa Davis had 24 points. Proving the theory of the team that scores first always wins. After playing the best game of all at the state playoff, the Bulldogettes sailed past Deweyville and except for the first couple of minutes of play were never trailed. 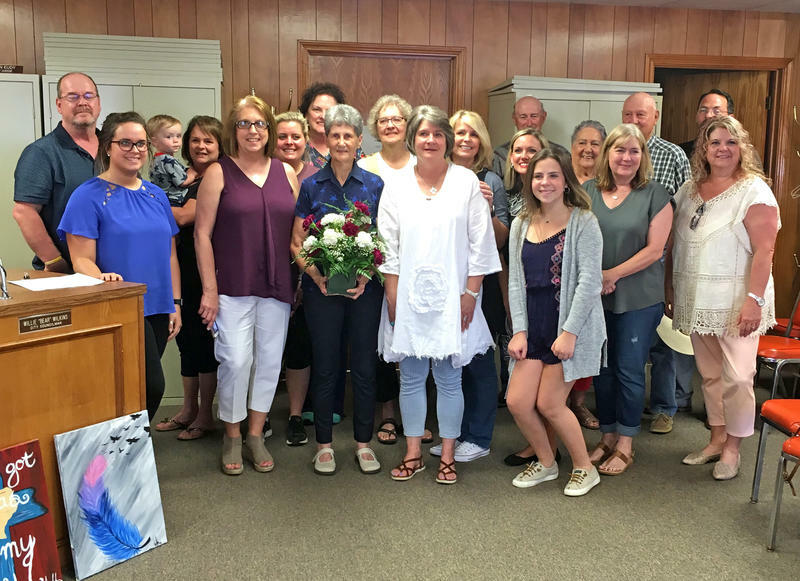 Members of the team (in no particular order) were: Tonya Reynolds, Darlene Bacy, Renee Sampson, Lisa Rainey, JoAnn Brackeen, Lisa Davis, DeDe Carrington, Kellye Manes, Bev Beierle, Leslie Morris, DeAnn Preas, Lynda Choate, Venita Roberts, and Coach Moses, as reported in the Cooper Review February 10, 1977 edition. “I/we were so blessed to be her ‘girls’ and to learn not only the game of basketball and sportsmanship but leadership, integrity and a strong work ethic. Coach Moses pushed us and made us stronger and most importantly she respected us, she was fair, she believed in us and she loved us. I loved this lady as my coach and mentor and I love her still as a true friend,” said Lisa Rainey Taylor, member of the 1977 Cooper Bulldogettes State Champions. 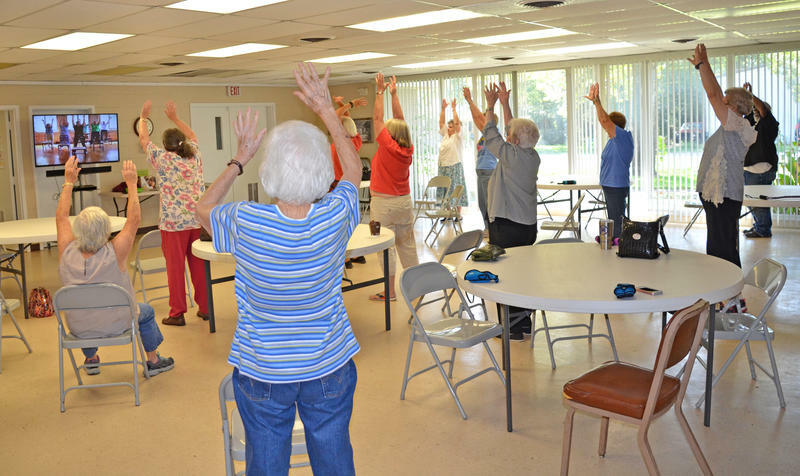 Delta County Civic Center offers Senior Center Activities at 221 E Bonham Ave, Cooper, TX 75432. Everyone is invited! It is a great way to meet new people. 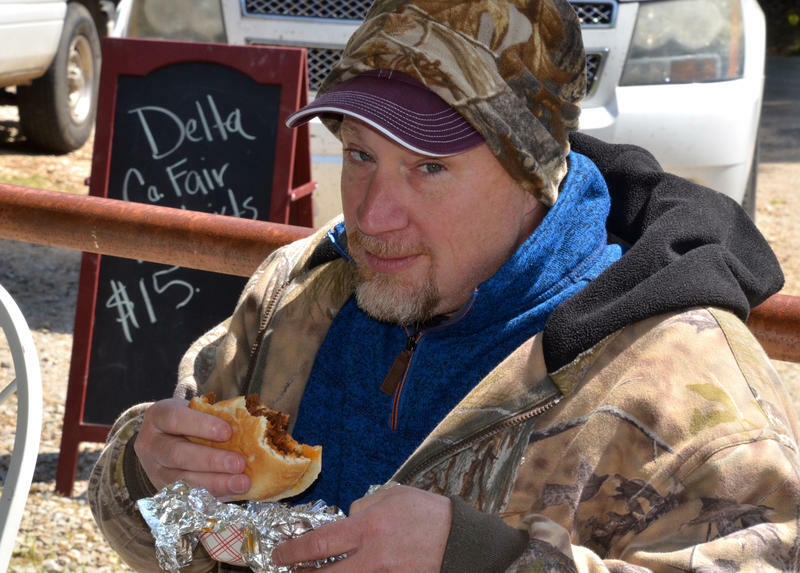 Despite the unseasonably cool temperatures and windy April Saturday in Cooper, Texas, many folks attended the 2018 Annual Delta County Fair. The day began with the Bobby Wigley Memorial Jr Livestock Show which boasted many youth successes and winnings.